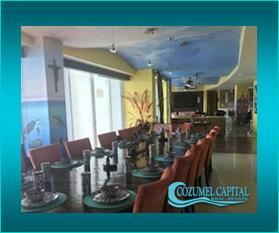 Waterfront Condo – 2 Bedrooms 2 bathrooms, laundry. Furnished. 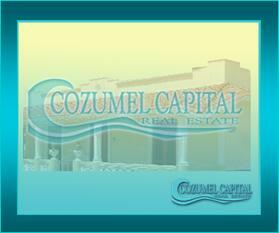 Home for sale, 3 bedrooms, 3 baths, Pool , Palapa top Roof. 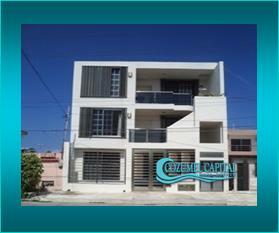 3 Apartments – 5 Bedrooms, 3 Bathrooms plus 1 jacuzzi, for sale. 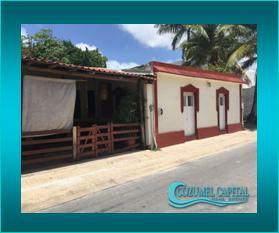 Home for sale, 3 bedroom, 3 bathrooms and Palapa top Roof. Home for sale, 4 bedrooms, 4.5 baths, laundry, Fully Furnished. 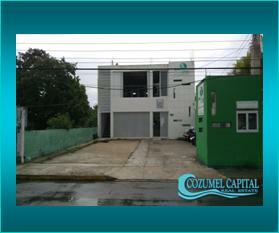 3 bedroom, 3 b. pool, + Commercial space in the front. House + 2 Bungalows. 5 Bedrm 4 b. BBQ Patio. Great PRICE REDUCTION ! 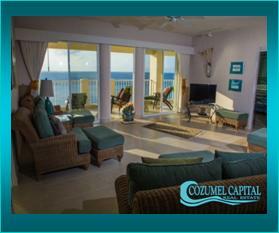 Luxury oceanfront 3 Bedroom condo, 3.5 bathrooms, pool & sandy beach. 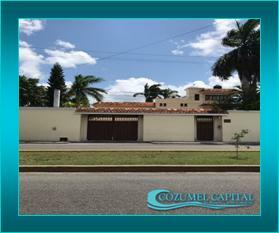 Condo – 3 Bedrooms, 2 Baths, 2 pools & gardens in common areas. 3 Bedroom + studio, 2.5 baths. Furnished with fine furniture. 3 Bedroom + studio, 4.5 bathrooms, pool and large garden. Home plus Bungalow, 4 bedroom, 4 baths, fruit trees, pool. Oceanfront Condo, 3 bedroom, 3.5 baths, laundry. Furnished. Home for sale, 4 bedrm, 4.5 baths, large patio and pool. 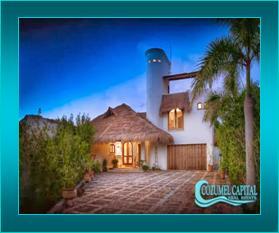 Waterfront, 3 bedrm, 3.5 bath Villa, common areas, pool and dock. Waterfront Home, 4 bedrooms, 4 bathrooms, jacuzzi, service room, pool. 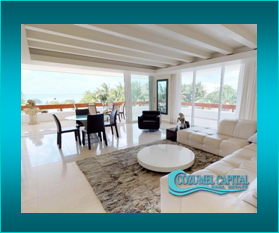 Penthouse Condo, 5 bdrm, 5.5 baths, 3 floors, pool, large top roof terrace. Private 2 bedroom 3 bathroom Waterfront Villa. Architectural Design. Pool and gardens. 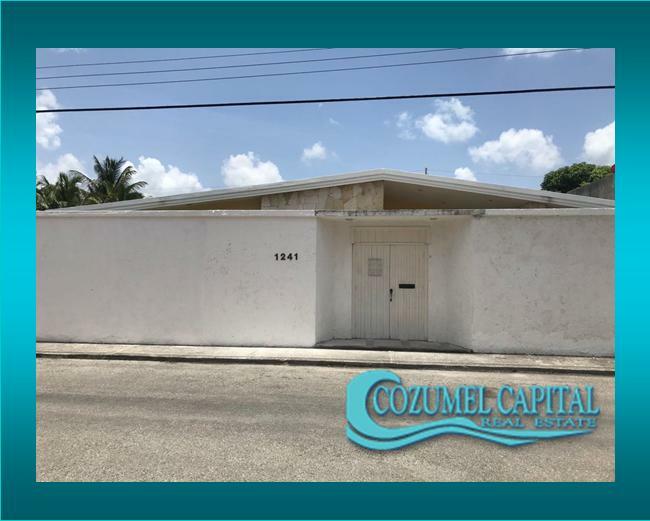 Building – Opportunity Excellent for Investment – On Main 65th Av. in Cozumel!